Seafront apartment with sea vew for sale. 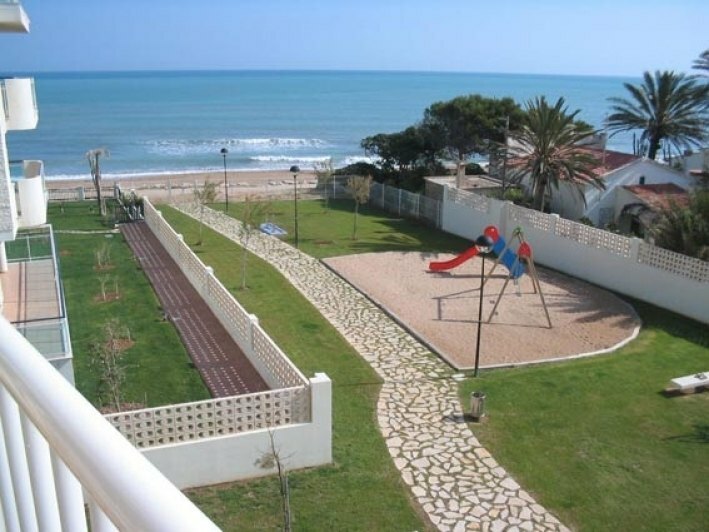 Development with direct access to the beach, with nice pool and gardens with children's playground. Quiet residential area, ideal to spend long summer seasons. 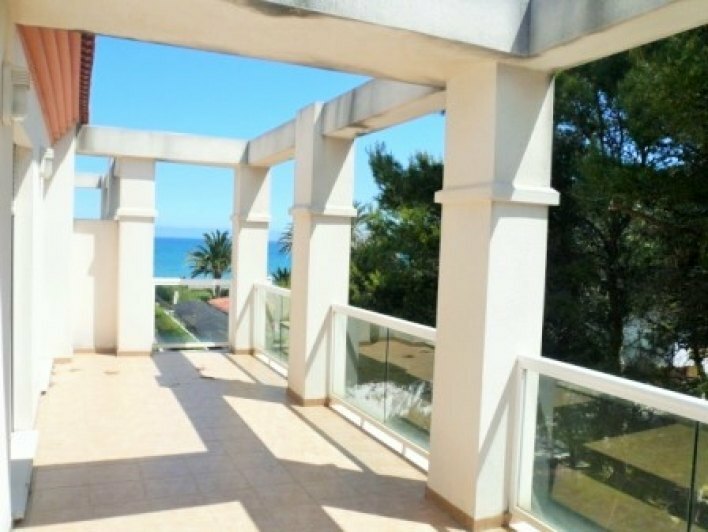 The property is located on the first floor, distributed in 3 double bedrooms, 2 bathrooms, large kitchen, large livingdining room, a large terrace of 30 m 2 with access to the kitchen and the spacious lounge and direct views towards the sea and the pool. The apartment is equipped with ducted hot/cold air conditioning and has a parking space with pergola. Concierge service all year through. Magnificent wide sandy beach, ideal for water sports such as kayak, paddle surfing, windsurfing, or just swim or watch the best sunsets of Denia. A unique opportunity to purchase a luxury beachfront apartment! 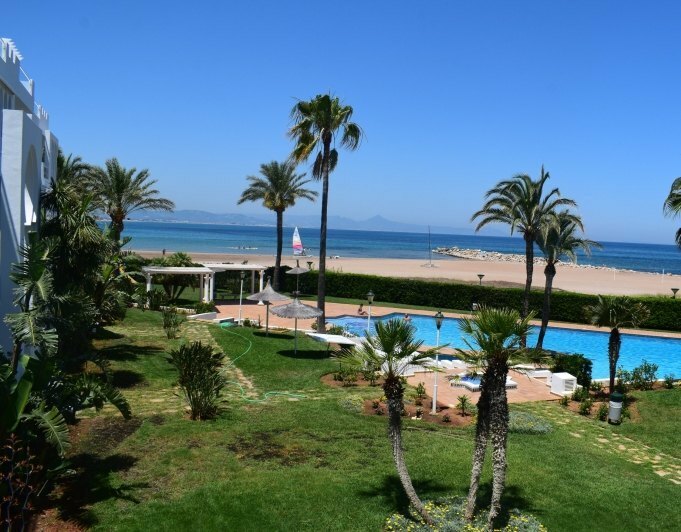 Magnificent apartment in front line of sandy beach with direct access to the arena, located at km. 7 highway from Las Marinas, 2nd floor with lift of 3 bedrooms, 2 bathrooms, and garage closed in the basement. Sold furnished to live. Magnificent qualities and magnificent sea views. The residential has beautiful gardens and pool community, as well as paddle tennis court. Beachfront Apartment with elevator in Las Marinas with sea views.The house has a spacious livingdinning room, closed kitchen, 4 bedrooms, two bathrooms, several open terraces with sea views and air conditioning cold and heat.The property includes two garages and two storage rooms.The complex has a communal pool and garden area.Just 300 meters from the sea and 10 km. to Denia. Penthouse in Denia for sale, Unique luxury penthouse in a high quality building only 30 m from the sand beach and 700 m from town center. Garden, swimmingpool, lift,garage. 15 apartments in first line golf course with sea views. Building not completed.